Growing Prosperity – The Power of Believing and Receiving Manifests Abundance! this is true to a great degree. the abundance of it into our lives. When we believe, we accept the truth, existence, reliability, or value of something; we also put our confidence, faith, and trust in that thing. Receiving is very similar in its definition. When we receive, we grab or take hold of something (physically or mentally); we take it into the mind and accept it as true. So whether you are believing or receiving, you are taking hold of and accepting something. 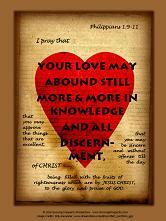 Believing something in the spiritual realm is receiving it into the heart. If we need a physical manifestation, it will come after we believe. The world tells us to believe it when we see it. However, when we operate by God’s principles, we must learn to believe first, and then we will manifest in the natural what we have already believed and received in our heart. Faith is a noun; it is the evidence of things hoped for, the evidence of things not seen. (Hebrews 11:1) Believe is the verb form of faith, so believing is faith in action. Faith holds a powerful force just waiting to be used. Believing is the process of receiving and manifesting the reality of our hopes into our lives. Believing also requires actions that reflect what we believe. For Christians, faith in action is believing and obeying the Word of God. Christians are called believers for a reason – they believe. Faith is God’s reality, and believing is putting action to that reality and tapping into the abundance of God. We hold fast the vision of prosperity in our heart and receive it in the natural by acting according to God’s principles of prosperity. We do not go around saying “I’m always broke, I’ll never get ahead so there’s no use trying.” Instead, we get our thoughts, words, and actions in line with God’s, because believing makes the power of God a reality in our lives. Why let your faith go to waste? God is searching for those who will believe and receive. Why not start expecting more of His glory in your life? God is waiting to manifest His glory to you and through you. His desire is that you be blessed to be a blessing. And there is no greater abundance to manifest and share than the abundance of God! May your faith grow strong as you believe and receive an abundant life of growing prosperity! and you can see it at http://www.180movie.com/. “The “180” video begins by addressing ignorance among students as to who Hitler was and what he believed, addresses the holocaust of abortion, and then it moves into a clear biblical gospel. This causes the hardest of hearts to do a complete 180. You see a blasphemous and hate-filled atheist change his mind about God, on-camera, as well as apathy in many others being replaced by deep concern about their own salvation. You see evangelism done as Jesus did it–the addressing of the human conscience, something that has been sadly lacking in much of modern evangelism. This shocking, award-winning documentary premieres September 26, 2011. 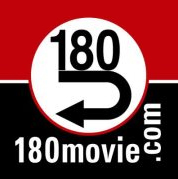 Help spread the word about www.180movie.com! Jason Castro plays “You Are” live on K-Love Radio station. “God is light, and in Him is no darkness at all. Enjoy this beautiful song and may you walk in God’s light always! Kutless plays “This is Christmas” in this music video. There’s more to this than you had ever thought? If there never was a Savior wrapped in a manger. What is Christmas without Christ? Beneath the star, one great and holy night. It’s all about the Savior wrapped in a manger. Enjoy this song and a Have a Very Merry Christmas! Biblical Prosperity – An Abundance of Spiritual Blessings! Have You Claimed Your Rich Inheritance? Biblical Prosperity is an important topic for Christians. God desires to do good things for His children and produce good fruit in their lives. His blessings on our lives bring glory and honor to Him. So let’s take a look at what the Bible says about prosperity. What is Biblical Prosperity and why is the abundant life based on spiritual prosperity? God has left all His children a great inheritance and we can see this by reading His will. And what God has provided, He did abundantly. There is no need for His children to divide up a little, because there is more than enough to go around. See what I mean? It says ‘ALL’ spiritual blessings in heavenly places. I don’t know about you, but ‘all the spiritual blessings in heavenly places’ sounds like abundance to me! And notice these blessings have already been provided and this is prosperity that we can walk in NOW, not later. We can tap into this spiritual prosperity by asking God to give us the spirit of wisdom and revelation into His will. Pray that God opens the eyes of your heart and His Word comes alive in your life. As children of God we are made alive together and seated together with Christ in heavenly places. Once we see life from God’s perspective, and realize we are prosperous right now with every spiritual blessing, our life and future outlook becomes changed forever. The kingdom of God is a spiritual one and the foundation of our prosperity, as kingdom citizens, starts in heavenly places; an area that we can’t physically see or touch. As children of God we have been given all spiritual blessings in Christ. Yes, if we want to transform our world and manifest financial prosperity and success we have to observe natural laws. But first we must seek to obey spiritual laws that have power to bring even greater riches in our lives. Then by combining the natural and spiritual laws we can find ourselves with growing prosperity; spirit, soul, and body. Biblical prosperity starts with spiritual prosperity first. From there God gives each of us the unique abilities to prosper in life in ways that will bring glory to Him. Are you enjoying the riches of the glory of your inheritance? If not, ask God to open the eyes of your heart and reveal how you are blessed right now with every spiritual blessing. May the eyes of your understanding be enlightened and your life full of growing prosperity! This video is a helpful self-examination of where our heart is at in worship. Do we lay our burdens down at the cross and fix our heart on Jesus and give Him praise? May we all worship God in Spirit and in truth! People Never Crumble in a Day! It’s the second glance that ties your hands, as darkness pulls your strings. Be careful little eyes what you see! How many problems and troubles might we avoid in our lives if we would simply be careful what we see, hear, say, and think on a daily basis in the small ways. When the small things are ungodly, it is like the song says – they tie our hands and darkness pulls our strings. But that does not have to be the case, and songs like this are great wake-up reminders to make sure we stay wrapped in the Word and meditate and study God’s Word daily! that you might be filled with all the fullness of God.